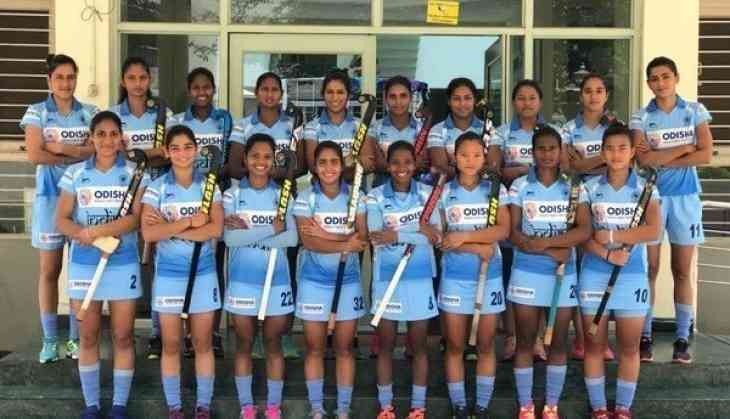 Hockey India Sunday named a 48-member core probables' list for the national camp of the Indian women's team to begin at the Sports Authority of India, Bengaluru campus tomorrow. The list includes recent Arjuna Awardee Savita, Rajani Etimarpu, Swati, Chanchal, Sonal Minj and Jaspreet Kaur as goalkeepers. Among midfielders, Nikki Pradhan, Monika, Lilima Minz, Namita Toppo, Neha Goyal, Udita, Manpreet Kaur, Jyoti, Maitri Ramwala, Anuja Singh, Anajali HR, Shyama Tidgam, Sonika, Puja Yadav and Karishma Yadav feature in the chart. The core probables list that includes members from the recent 18th Asian Games silver medal-winning team, also features top performers from this year's Hockey India National Championships. The Indian women's team have ended the season on a high note after an inspiring performance at the Gold Coast Commonwealth Games where they finished fourth, a runners-up finish at the Asian Champions Trophy in Korea, made it to the top eight at the Women's World Cup in London and won a silver medal the recently-concluded Asian Games in Jakarta. These memorable feats also helped the Indian women's team surge ahead in the FIH World Ranking to a career best rank eight position. While the team will approach the next season with an eye on the qualification for the 2020 Tokyo Olympics, the national camp will be more about finding the depth in the group and the right mix of players for the upcoming international calendar. "We will be watching each of these players closely during this camp and see how the competition is within the group. We will be seeing how the players, especially the new comers can cope with the expectations of a national camp. The seniors too will have to work hard to earn their place in the core group," chief coach Marijne said.